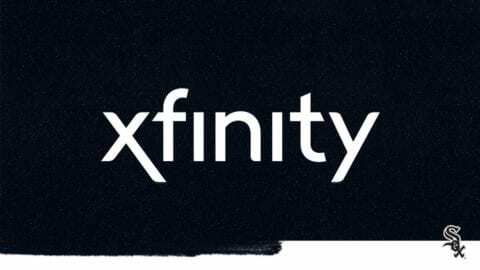 Comcast announced today that it is doubling the download speed of its Internet Essentials program, the company’s broadband service for low-income families, and will begin providing in-home WiFi service, including a WiFi router, at no additional cost. Now entering its fifth year, Internet Essentials is the nation’s and the region’s largest and most comprehensive high-speed Internet adoption program, connecting more than 50,000 Chicago-area homes, or about 150,000 individuals. Internet Essentials provides low-cost high-speed Internet service; the option to purchase an Internet-ready computer at a steep discount; and multiple options for free digital literacy training. The program was created to provide easier access to the Internet and close the digital divide that separates communities into information haves- and have-nots, based on socio-economic conditions. Internet Essentials has been available in Comcast’s Greater Chicago Region (Central and Northern IL, NW Indiana and SW Michigan) and across the company’s entire service area since 2011. Millions of American families lack Internet access at home, which severely limits their ability to take advantage of critical online resources for education, employment and healthcare. “Internet Essentials has helped close the digital divide by connecting more than 500,000 families, or more than 2 million low-income Americans, to the power of the Internet at home. 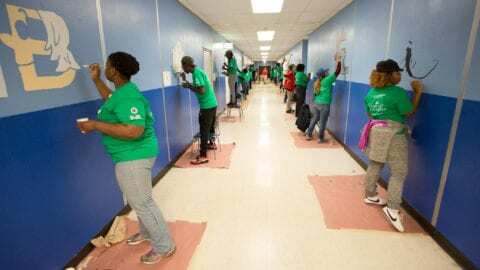 And we’re committed to doing much more,” said John Crowley, Comcast’s Greater Chicago Region senior vice president. 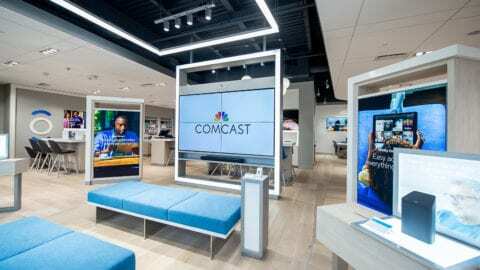 Comcast has made 25 key enhancements to Internet Essentials since its inception in 2011, and this is the third time in four years Comcast has increased its speed. And now, Comcast is doubling the current speed to 10 Mbps downstream, which is enough to power multiple devices simultaneously. In addition, by offering WiFi routers, customers will be able to connect Internet-enabled devices, ranging from tablets to smartphones, which could help save them money on monthly wireless bills. To receive the faster Internet speed, customers simply need to reboot their cable modems. Existing customers who would like a WiFi router just need to call the dedicated call center and either request to have one shipped to them for free, or they can schedule a professional installation, also for no additional cost. New customers will have the option to receive a WiFi router when they sign up. Through local grants and sponsorships, invested more than $250,000 per year since 2011 to support Greater Chicago Region programs designed to improve technology adoption in communities and expand digital training opportunities. 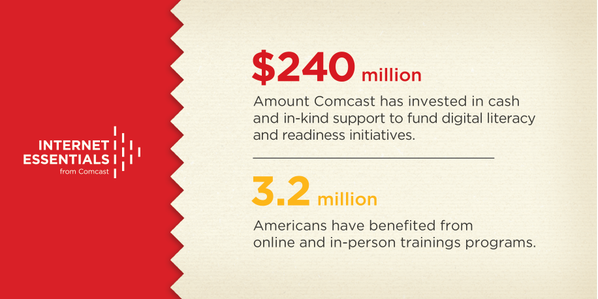 Internet Essentials from Comcast is the nation’s largest and most comprehensive high-speed Internet adoption program. It provides low-cost high-speed Internet service for $9.95 a month plus tax; the option to purchase an Internet-ready computer for under $150; and multiple options to access free digital literacy training in print, online and in-person. Eligible families must have at least one child eligible to participate in the National School Lunch Program, including public, parochial, private, charter, and homeschooled students. For more information or to apply for the program, visit www.InternetEssentials.com or call 1-855-846-8376, or, for Spanish, 1-855-765-6995.